Current practice of AM authored by three of ESSA’s Senior Partners. Murray, C.L., D. Marmorek and L. Greig. (2015) Adaptive Management Today: A Practitioners’ Perspective. 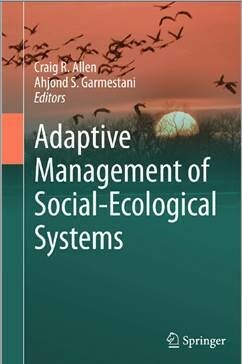 Chapter 10, in: Adaptive Management of Social-Ecological Systems. Allen, C., A. Garmestani and C. Smith (Eds.). Springer.